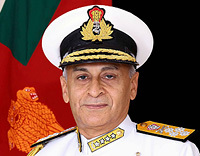 Chief of the Naval Staff and the Chairman Chiefs of Staff Committee, Admiral Sunil Lanba along with NCC Cadets during his visit to Republic Day Camp 2019. 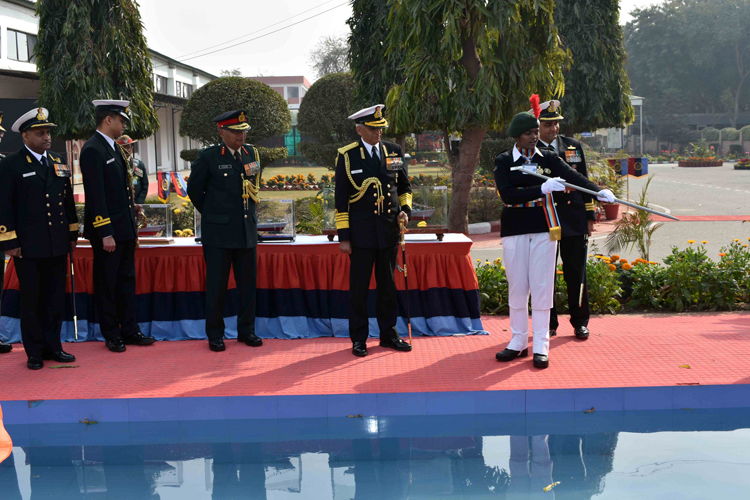 The Chief of the Naval Staff reviewed an impressive 'Guard of Honour' by the smartly turned out Cadets selected from all the three Wings of NCC i.e. Army, Navy and Air Force. This was followed by a brilliant band display by the cadets. The CNS also inspected the well laid out flag areas prepared by the NCC cadets, from all the 17 NCC Directorates, depicting various Social Awareness themes. Various Naval ship models fabricated by the cadets were also displayed. 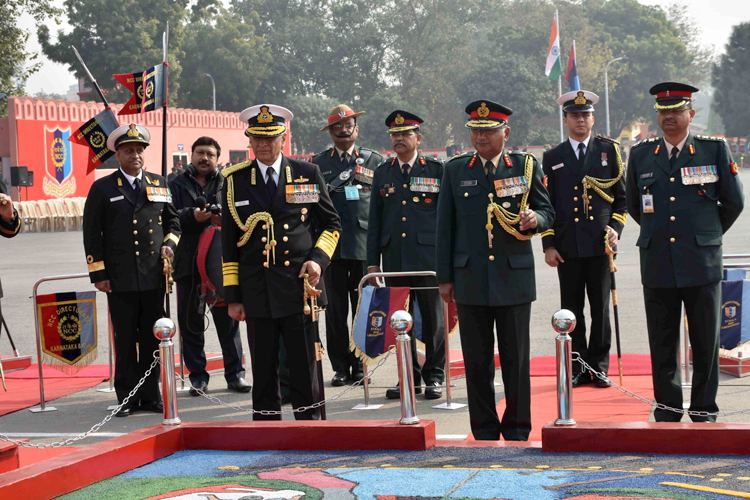 Chief of the Naval Staff and the Chairman Chiefs of Staff Committee, Admiral Sunil Lanba reviewing ‘Guard of Honour’ presented by the three Wings of NCC i.e. Army, Navy and Air Force during his visit to Republic Day Camp 2019. Speaking on the occasion, the Chief of the Naval Staff complimented the Cadets for presenting an impressive 'Guard of Honour'. He was impressed by the smart turnout and drill of the Cadets. He stated that NCC is a premier youth organisation which single- mindedly engaged in grooming Nation's Future leaders & empowering them to don the mantle of country's leadership, as well as excel in all walks of life. He noted the contribution of NCC Cadets towards Nation Building and their indomitable spirit and support during calamities. He also appreciated the efforts in pursuit of naval activities, to include long duration and high risk sailing. 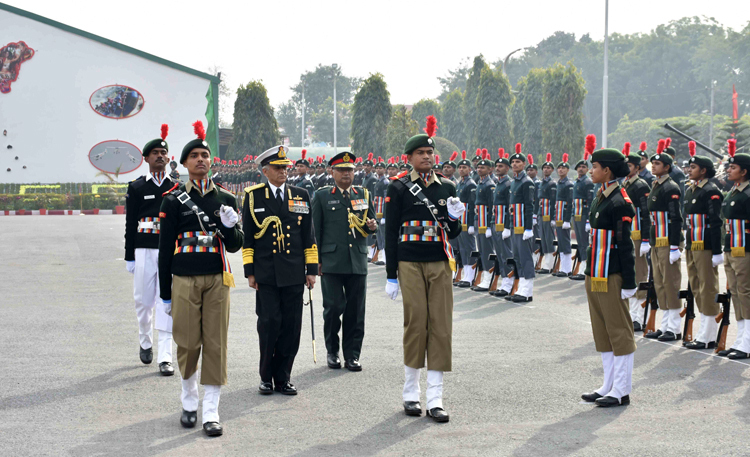 The CNS also urged the NCC Cadets to join the armed forces and serve the motherland. Chief of the Naval Staff inspecting flag areas prepared on Social Awareness themes. Chief of the Naval Staff viewing various naval ship models fabricated by the NCC Cadets.